I don't take life too seriously. I love to windsurf, surf and travel. Wow there has been so many but sailing the outer reef at Sprecks "Spartans" on my first ever trip to Maui is right up there. There was three of us out there and it was just absolute perfection.. bright blue water, logo high immaculate peeling waves and the most amazing back drop of the North shore. Also any freestyle session in Vassiliki, Greece at the end of the day with just the great company of Club Vass boys out on the water is pretty memorable. Don't be too hard on yourself. The most important thing is having fun, if you're not enjoying yourself it's a lot harder to improve! Max started his career on Simmer so now we are super stoked to have him back on the team. He is one of the most professional freestyle riders on tour, with his superior knowledge of product development, with over 10 years of teaching at Club Vass and competing on the EFPT and PWA tour. 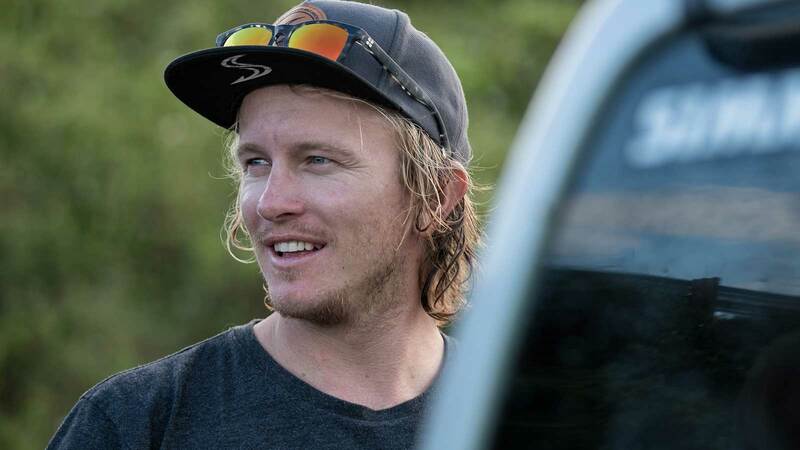 Max will be responsible for our freestyle development, working closely with Chief Sail Designer, Tomas Persson and Board Designer, Ola Helenius. Welcome home Max! Board of choice: The soon to be Simmer freestyle shape.. coming soon! Favorite conditions: 4.4 flat water with little stunt ramps for freestyle. For waves I'm not so fussy… as long as the wind is from the right!!! Home Town: Colchester, Essex but these days your more likely to find me in Vassiliki, Greece.